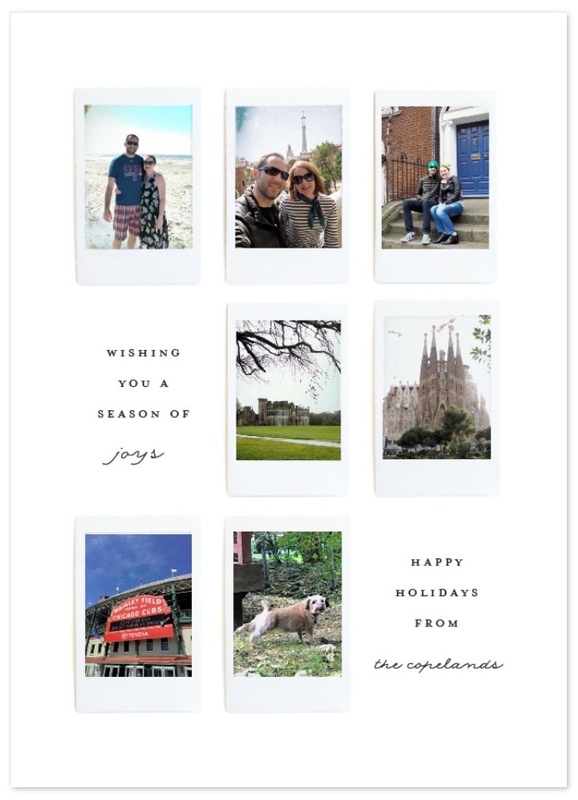 This year I was ahead of the game on holiday cards. I was so ahead of the game, I had them ordered on November 1st. Who am I?! In the past we've taken photos especially for our holiday cards, but this year I thought it would be fun to share a few highlights of this past year. I love the instant photo design form Minted and thought it would make the perfect card of us. We included photos from trips to Charleston SC, Chicago IL, Barcelona, Dublin, Irvinestown and the pup even made it on the card! Happy Holidays from Holly, Luke and Gracie!